Now before the advent of the internet, and before reality television impregnated our collective minds into much, do you know what people actually did? They did things with each other! Went out. Danced. Had something to eat. And they spoke too! Isn't that amazing! Just like this classic film Directed by John Badham; and Starring: John Travolta, Donna Pescow, and Karen Lynn Gorney. It was made in 1978, and lasts for 118 minutes. 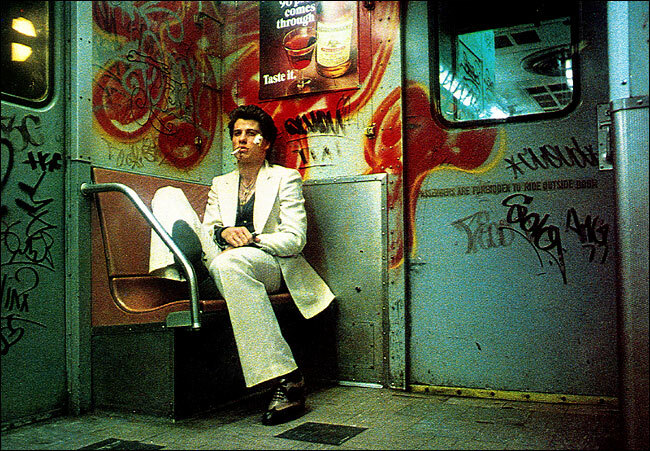 By day, young Brooklyn bound Italian pretty boy, Tony Manero (John Travolta), is many-many things. He is a store hand at a paint shop. He is a belligerents son to his over demanding parents. And he is a dreamer with no prospects in sight. However, by night, Tony is many-many other thing as well. Girls pine for his touch. His pal idolize his every move. And one and all just thinks that he is something special whenever he takes to the dance floor, at the nightclub called 'the 2001'. OK, so not everyone-everyone. You see, on one night in particular , two things happen to Tony that changes his outlook on life a tad. Now the first thing is the news about 'the 2001' going to stage a dancing competition there – one in which he enters with his put-upon ‘girl pal’ Annette (Donna Pescow). Whereas the second thing is that a slightly older female dancer catches his eye, Stephanie Mangano (Karen Lyn Gorney) – and he takes a liking to her straight away. Still, do you think that Stephanie takes an instant liking to Tony in turn? Err - so-so I suppose. On the one hand, she reluctantly agrees to be Tony's new dancing partner for this competition, when he quickly gives Stephanie the old heave hoe. Whilst, on the the other hand, Stephanie is a lady with ambition, and just sees Tony as another Brooklyn kid with no prospects or future. But I have to say, that during Tony's time practicing with Stephanie, a few scenarios play out, causing him to look at thing Stephanie's way. His older brother, Frank (Martin Shakar), leaves the priesthood, and is now looking for another erstwhile vocation. Tony’s relationship with his pals begin to wane, because he starts to connect with them less and less, and bond with Stephanie more and more. Plus on top of that, Tony is even willing to lose his job at the paint shop, just so he can help Stephanie move into her new apartment with a friend of her's. Ooops! Tony is starting to get pretty attached to Stephanie, don't you agree? And I suppose that is why what next transpires is real moving account I can tell you. As buddies battle - dancers rattle - acquaintances turn to cattle - and it's a good thing no one likes a tittle-tattle. 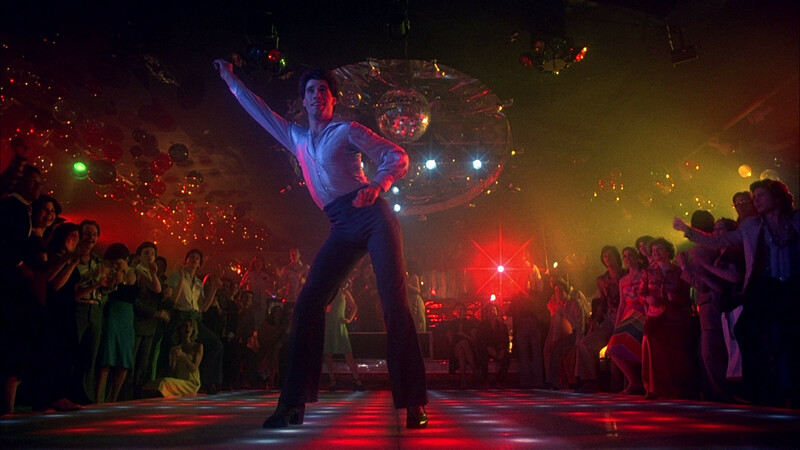 Through and through, 'Saturday Night Fever' is a film that is of its time, but at the same time also illustrates a number of poignant issues that are still very valid today. Now what are these issues that am I referring too, huh? Well: (1) The way families of a certain demographic hinder their children’s prospects in life, due to their own narrow perspective. (2) How uneducated people do find it difficult to work there way out of poverty, yet still seem grounded in upholding familiarity and antiquated customs. (3) The nature of evolution due to circumstance. (4) Talent is something that is intrinsically developed, as well as something that thrives on passion. And (5) Posers have feelings too. HA! Now you didn’t think that I was going to be all-serious now, did you? We need some facts! (1) Although writer, Norman Wexler, initially stated that he adapted his screenplay from a magazine article written by Nik Cohn. Some years later, he said that this was all a lie. (2) The casting for this flick was expansive at best. Jessica Lange, Kathleen Quinlan, and Carrie Fisher, were all considered to play the role of Stephanie Mangano. Whilst both Ray Liotta and David Caruso, auditioned for the role of Joey. (3) On certain VHS releases of this movie, some songs were replaced with generic disco songs, due to royalty disputes - "Dr. Disco", "Disco Duck", and "K-Jee". (4) John Travolta had a rather strained time working on this flick. He had to attend his girlfriends funeral, Diana Hyland, during production. Plus he lost 20 pounds in weight due to the amount of exercise he was doing too. (5) The elevated subway line shown in the film, called the West End line, is the same one used in the famous chase sequence in 'The French Connection' [click here for review]. (6) Filming was interrupted a number of times for three main reasons. Initially, this was due to John's teenage fans, baying for him, because of his popularity on the sit-com 'Welcome Back Kotter'. A local Mafia group attempted to extort money from the crew. Plus a group of Hasidic Jews were against this production from filming in their neighborhood, and tried to disrupt proceedings. (7) The white polyester suit worn by John Travolta sold for $145,000 in auction, purchased by movie critic Gene Siskel. (8) Originally the title of this movie was 'Tribal Rites of the New Saturday Night'. But it was initially shorted to just 'Saturday Night' for simplicity's sake. And then expanded a touch to 'Saturday Night Fever' because of The Bee Gee's song [click here for BeeGee's review]. (9) John's sister and mother, Ann and Helen, have small cameo's in this film, as a pizza lady and a paint customer respectively. And (10) Two additional song were not being used in this film, the Bee Gee's "If I Can't Have You", and Samantha Sang's "Emotion". OK, I think that's enough of that, huh? What about this film? 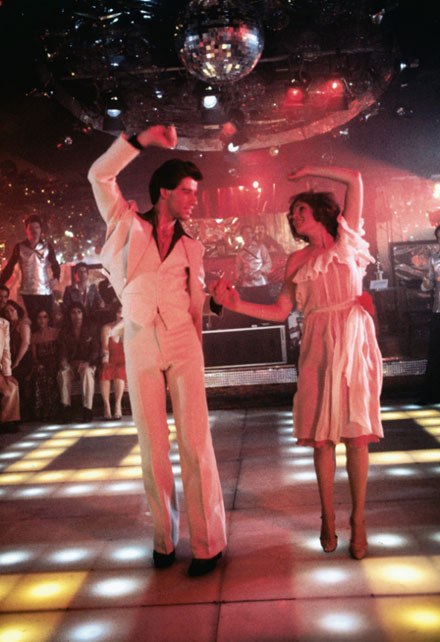 'Saturday Night Fever' - any good? Well, yes - yes it is. You see, unlike some other multifaceted films, this one has a basic pretext that is rather rhythmic in it's tone. Conceptually, this movie presents a story about a young gifted dancer, who falls in love with an older woman, whilst trying to find his way in life. Personally speaking, I find that this is precisely what is at the heart of this film – life. Granted, as I have said before, it is a life set in certain time-period – the seventies. Nevertheless, whilst saying that, I do not feel that we have developed so much as a race, that we are not in essence the same people underneath. However, what isn't debatable, is how good the actors are in this film. John Travolta just carries this movie on his young nubile shoulder, and dances with it all the way to its conclusion. OK, he doesn't do this all on his own, because all the supporting players – especially Karen Lynn Gorney and Martin Shakar – aide him in providing an earthy and natural quality, that is on occasion genuinely funny. Also, let us not forget about the music, huh? Specifically the Bee Gee's music. Boy-oh-boy, you beaded high-pitched musical freaks of human nature, you are the God's of disco, and this film has done your song justice, LETS DANCE! A great film – a disco film – and a film with a statement about life. Classic.